This is a painting of a quintessentially British scene, showing an English Setter and group of gentlemen enjoying the warmth of the fire on a snowy day. 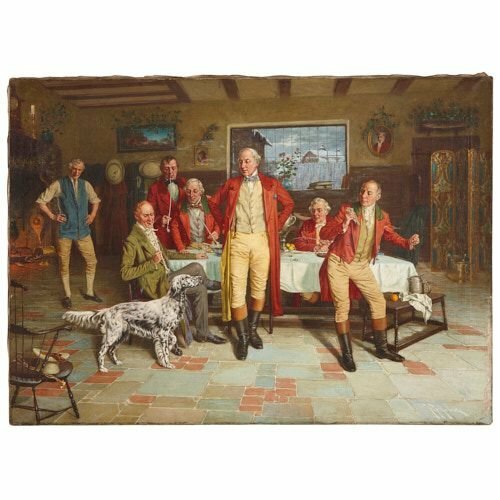 The painting depicts a group of seven men, who are gathered together around a long table in what appears to be a kitchen or informal dining room. The room has a flagstone floor, and is furnished with a fireplace on the left, a door on the right, with a screen before it, and a central table, covered with a white tablecloth. The walls are partly lined with timber, and hung with portraits and a landscape painting. In the centre of the rear wall, there is a large window, which provides a view out onto pitched rooves covered in snow. Most of the men in the room are dressed in traditional long black and brown boots, beige jodhpurs, waistcoats and long red coats. 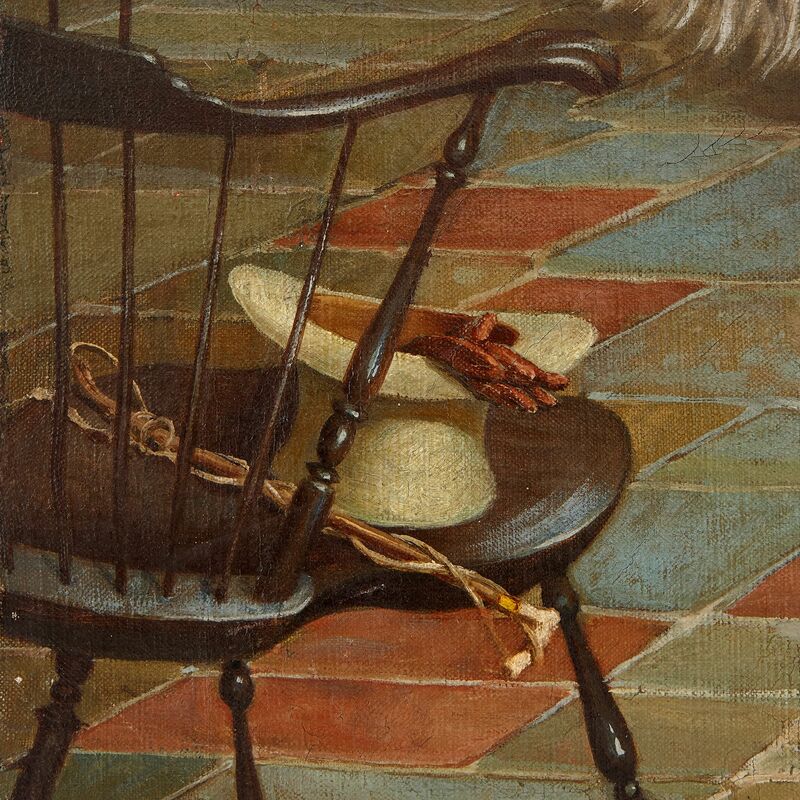 A discarded green top hat, gloves and riding whip rest on a chair in the left-hand foreground. 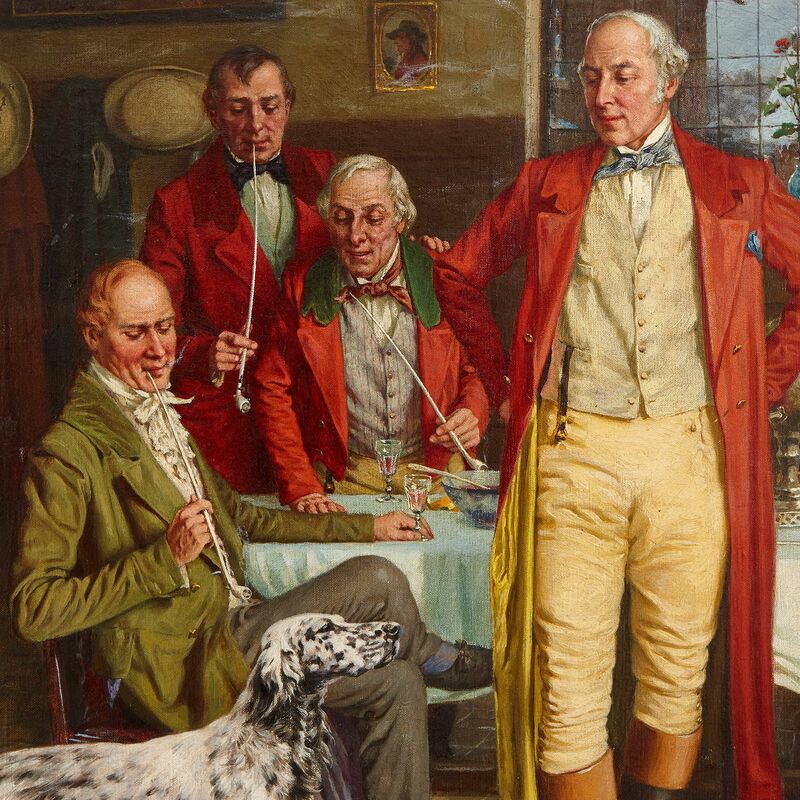 This, combined with their costume, suggests that the men have returned from a fox hunt in the countryside. Four men gather around the table, drinking port and smoking long, white pipes, while two men stand in front of it, one centrally positioned with his hands on his hips, the other to the right holding a pair of gloves. 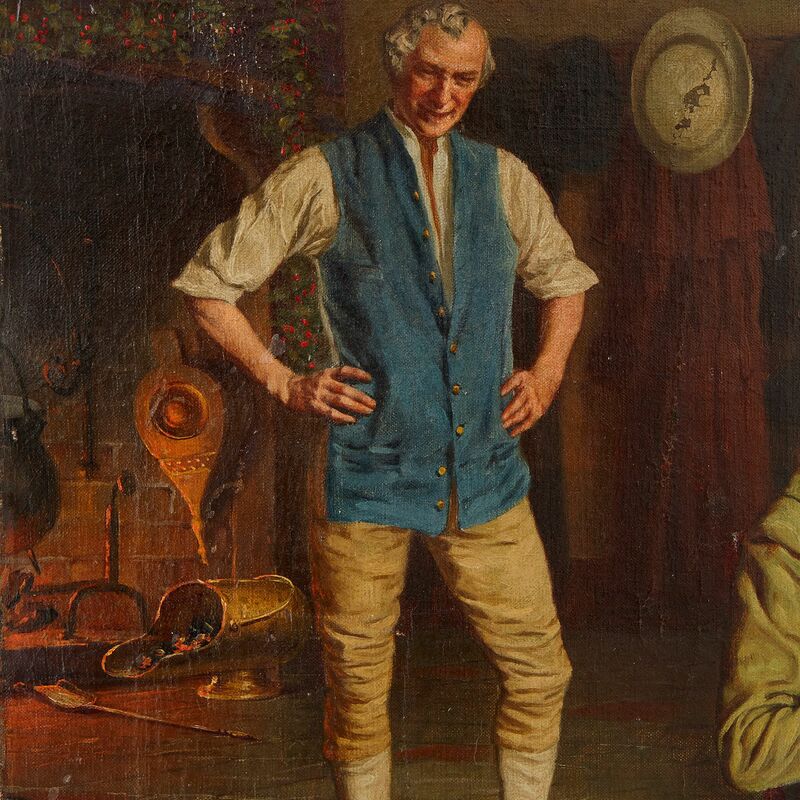 Another man stands near to the fireplace, to the left of the composition. He has removed his coat and similarly rests his hands on his hips, in what is a relaxed pose. The focus of the group's attention is the black and white English Setter, which stands in the left-hand foreground. Setters have historically been bred for hunting, which may explain its presence in the scene. The dog raises its front left leg, and has its head raised and tail pointed, in the famous 'set' pose this breed adopts when hunting. 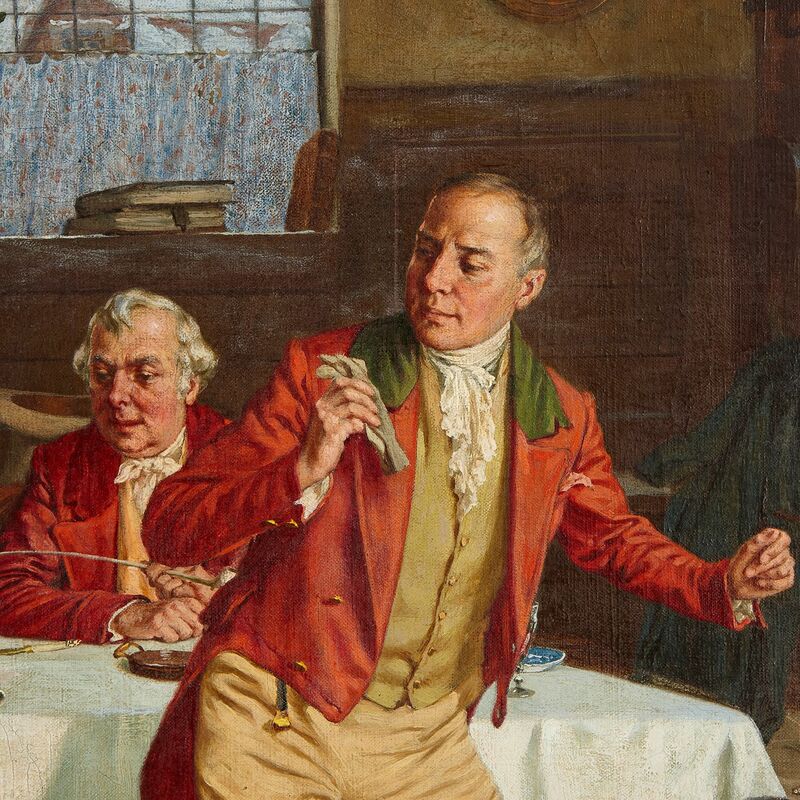 Little is known about the artist, John Alfred Mohlte, but it is clear that he was an exceptionally skilled painter. The scene has been rendered naturalistically and in remarkable detail using short, well-blended brushstrokes. 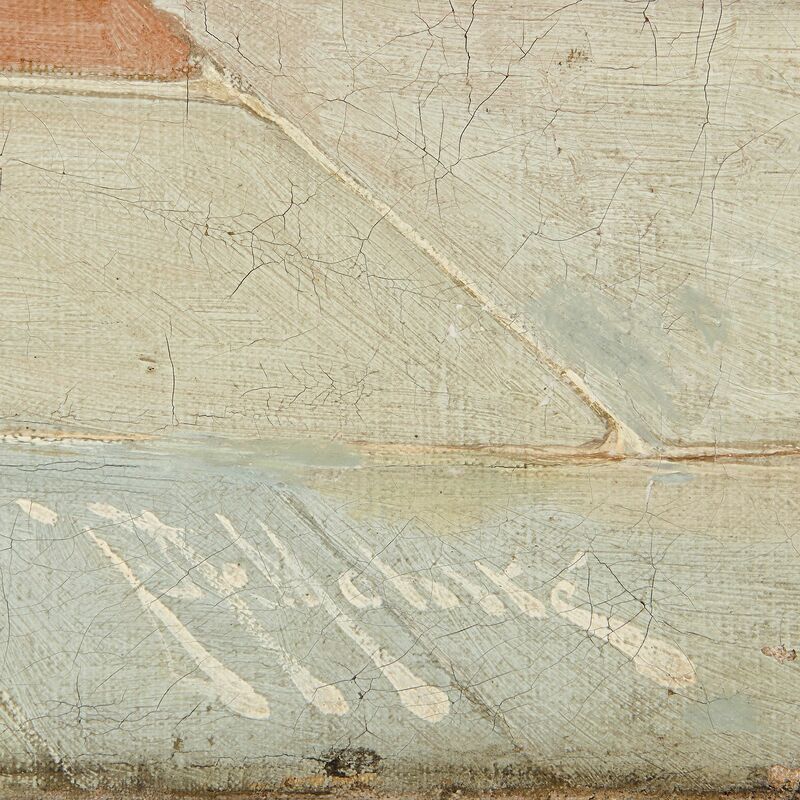 Mohlte has signed the piece in the lower-right of the composition.